WSAS Topical Working Group 1 gathers at the 2017 Annual Meeting. 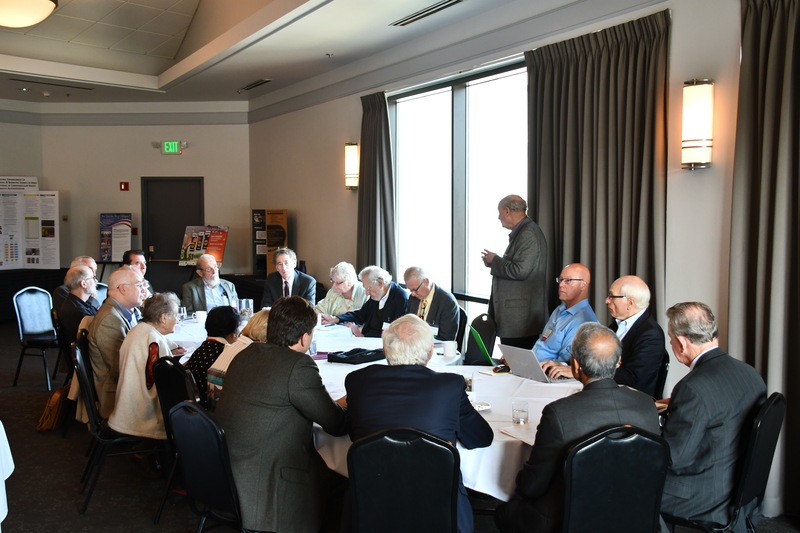 Topical Working Groups are a key mechanism through which WSAS fulfills its ‘Science in Service of Washington State’ mission and increases engagement with state policy organizations. Topical Working Groups are aligned with key scientific and technological policy interests of the state and our members. They increase WSAS’s visibility as a ‘place to turn’ for objective, technically based and clear information on existing topics and issues facing the state, and to inform the state about emerging technical issues that could affect the state. Topical Working Groups increase WSAS Members’ capacity to act on policy issues involving science, technology, the environment and health. Their impacts are measured through the types and quality of its activities, the strength and influence of the connections with key policy makers and strategy groups, and the relevance and value added of our products to policy makers.